University of Georgia Press, 9780820321196, 176pp. "Mother rescued the three zebras that escaped from the London zoo"--so begins the first story in this whirlwind collection by C. M. Mayo. 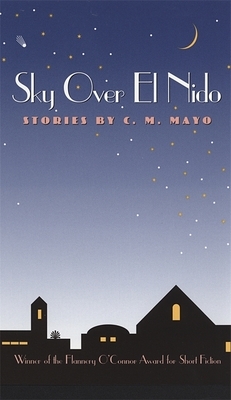 Though Mayo's characters ricochet around the globe in search of diversion, money, enlightenment, cachet, and escape, she sets many of the stories in Sky Over El Nido in Mexico. This is not the gringo's Mexico of margaritas, mariachis, and inscrutable house servants, but a fin-de-si cle world where a Mexican boy who guards tourists' cars for small change wears a T-shirt that says "Six Flags Over Georgia." Mayo's strangely beautiful yet disturbing stories reveal characters who envision the solutions to their lives in a world where nothing is stable, nothing can be nailed down, and we are all suddenly, dizzyingly faced with sharing the same pitiless sky.